Most garage doors aren’t strong enough to withstand heavy winds on their own. It’s important to reinforce them before a storm so that they don’t blow off and cause structural damage to your home. There are different techniques that you can use to brace a garage door, which you can read more about here. Alternatively, you could hire a company that specializes in garage doors to determine what kind of reinforcement your garage door needs and have them install it for you. When heavy rain and winds hit, loose shingles on your roof may be ripped off in the storm. Once the shingles are damaged, your roof could start to leak and cause damage to the inside of your home. Be sure that your roof is inspected and that its shingles are secured properly. You can also try to prevent leaks by installing a waterproof underlay material. Additionally, it’s important to inspect your roof and check that there are at least six nails or staples in each shingle. If there aren’t, secure the shingles with more roofing nails or hire a roofer. Storm shutters can be installed over your windows and doors to protect them and prevent wind damage. Once installed, the shutters can be closed over your windows and doors quickly to protect your home from damage. Be sure to look for shutters that are steel or aluminum in order to best protect your windows and doors from flying objects. Strong winds can rip the siding from your home. You should check that your siding is securely attached to your home’s frame. You’ll also want to make sure that all of the edges of your siding are covered. You can cover them with a metal cap to prevent wind from getting underneath the panel and ripping it off of the side of your house. If you have storage sheds or other structures in your yard, be sure that they are anchored to the ground so they don’t blow away in a storm. You should also anchor smaller things like outdoor grills and patio furniture, or else move them into your garage or other inside space before the storm hits. Trees that are too close to your home can be dangerous during heavy winds. Be sure to keep an eye out for trees or branches that are close enough to land right on your home if they are knocked over by the wind. Trees can be removed by logging experts and the cost to remove one depends on its height and location. 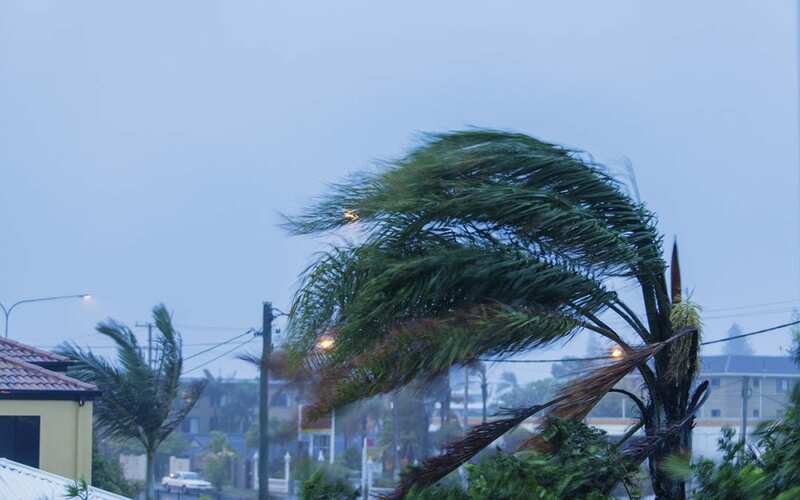 Keeping your home safe during a storm is important to prevent wind damage and injuries. If you’re concerned about potential damage to your home, hire a home inspector to perform a wind mitigation inspection. This type of inspection can help your home better withstand a hurricane and you may also earn credits on your homeowners’ insurance. Oasis Home Inspections serves Brevard County, Florida with home inspection services including wind mitigation inspections. Prepare your home and schedule an appointment today!